Now unitl June 20th we are giving away $1000 every Thursday! 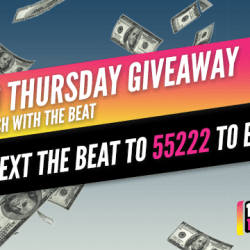 Make sure to text Beat to 55222 and we will text you when and what song to listen for! When you hear the song call in and $1000 could be yours! Good luck!